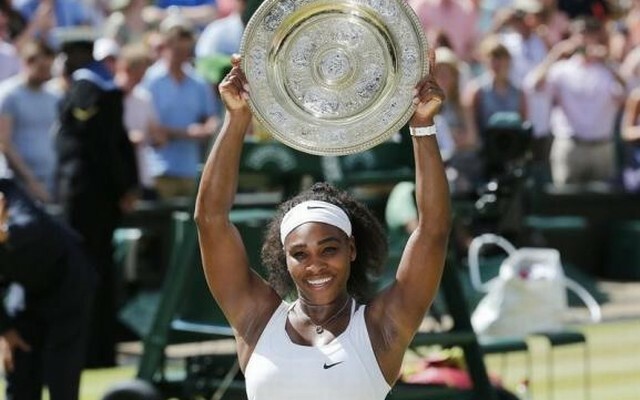 LONDON – Serena Williams claimed a sixth Wimbledon title and fourth successive grand slam crown by suppressing the spirited attacking instincts of 20th-seeded Spaniard Garbine Muguruza to win Saturday’s final 6-4 6-4. “I can’t believe I am standing here with another Serena Slam. It is so cool,” Williams said courtside.